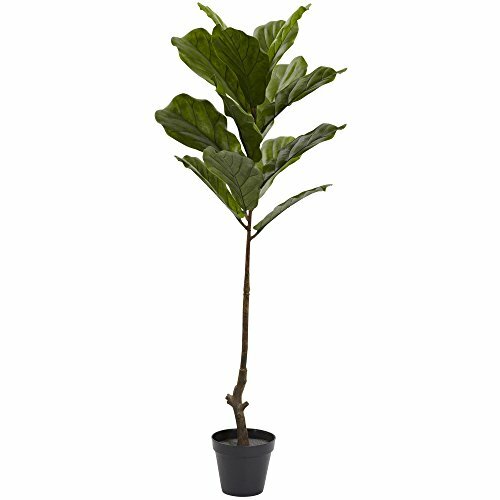 One of nature's more interesting looking plants is the fiddle Leaf tree. The delicate yet sturdy trunk rises from the included planter, to fan out into 14 large, green leaves, ready to delicately dance in the breeze. And breezes are fine, as this re-creation is fully UV resistant, so feel safe putting it on your patio, or anywhere else in your home or office for that matter. Makes a unique gift as well. 14 billowing leaves.Item may need to be re-shaped when removed from box to extend to fullest dimensions.